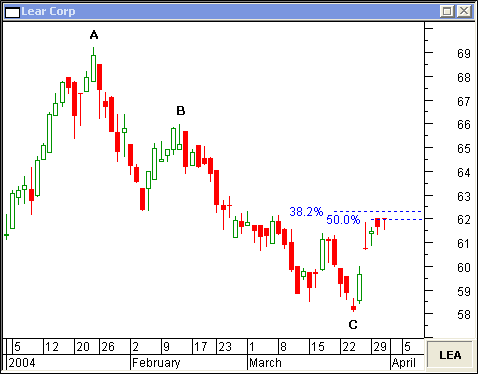 ibonacci Confluence can forecast price reversals with pinpoint accuracy. Learn how to forecast these turning points by examining the following charts. 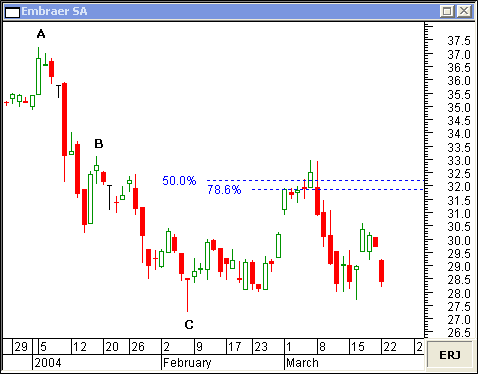 The daily chart of Embraer SA reveals an area of confluence formed by the 50 percent retracement of AC and the 78.6 percent retracement of BC. 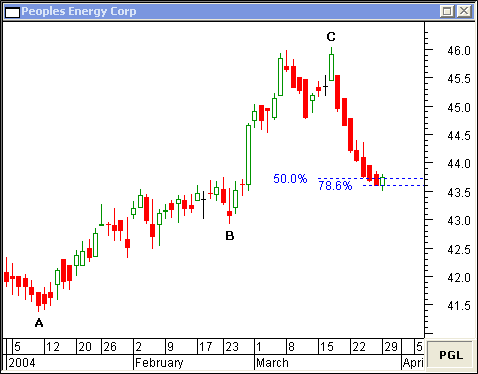 Price found support at this area of confluence formed by the 50 percent retracement of AC and the 78.6 percent retracement of BC in this daily chart of Peoples Energy Corp.
Support was found twice on this daily chart of BJ Services Co... once at the 38.2 percent retracement of AC and, again, at the 61.8 percent retracement of BC, creating an area of confluence. Often, Fibonacci retracements will cluster, forming multiple areas of confluence. 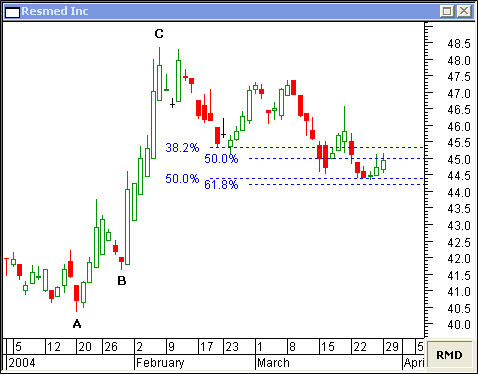 On this daily chart of Resmed Inc, the 38.2 and 50 percent retracements of AC coincide with the 50 and 61.8 percent retracements of BC, creating a strong area of support. 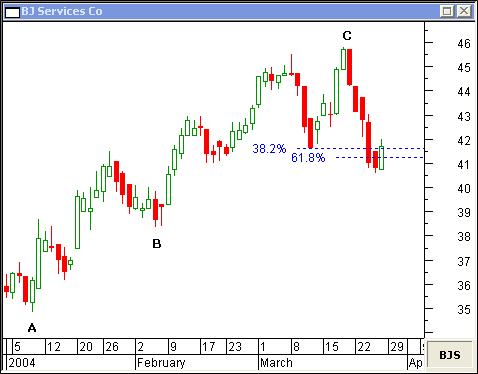 Price bumped into a narrow band of resistance formed by the 38.2 retracement of AC and the 50 percent retracement of BC on this daily chart of Lear Corp. 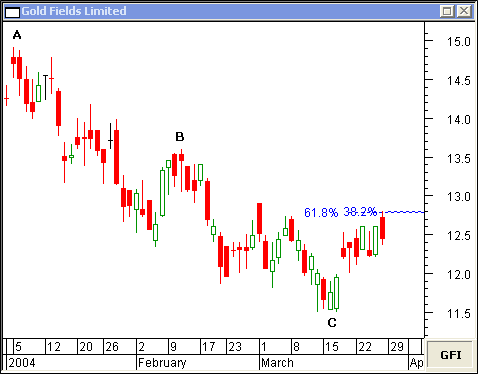 Sometimes, the area of Fibonacci confluence is exact, as in this daily chart of Gold Fields Limited. The 38.2 percent retracement of AC and the 61.8 percent retracement of BC overlay one another, precisely.